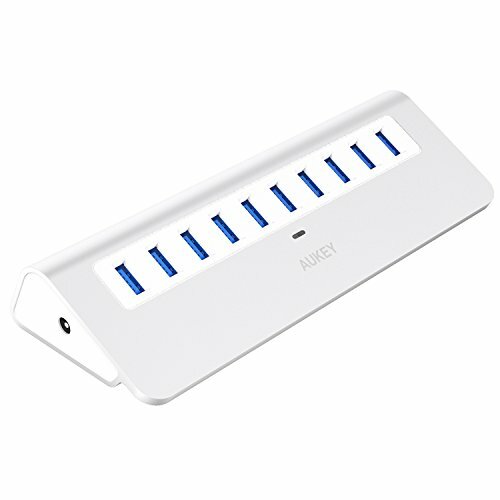 With a refined matte metallic aluminum body, the AUKEY 10-Port hub will complement the aesthetic of your laptop and conserve desk space at home or the office. Multiply your connectivity by turning one USB 3.0 port on your laptop into ten USB 3.0 ports. Dimensions: 174 x 68 x 29mm / 6.85" x 2.68" x 1.14"